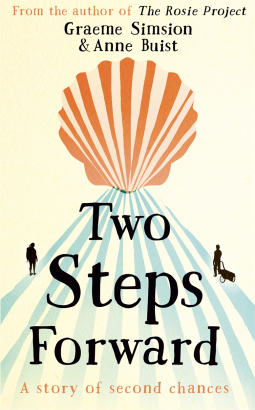 In this smart, funny and romantic journey, Martin's and Zoe's stories are told in alternating chapters by husband-and-wife team Graeme Simsion and Anne Buist.Two Steps Forward is a novel about renewal - physical, psychological and spiritual. It's about the challenge of walking a long distance and of working out where you are going. And it's about what you decide to keep, what you choose to leave behind and what you rediscover along the way. Review: This book brings to mind a cross between Wild and When Harry Met Sally. The fact that this is written by two authors, two authors who are married really intrigued me to begin with, and the fact that this is already well on the way to becoming a film also makes me see it in a different light. Altogether this was a very different reading experience but a pleasurable one nonetheless! This is dual narrative and I actually bought this one and listened to it on audiobook which meant that the dual narrative was even more pronounced. I am such a fan of dual narrative and it works really well with this story, especially since it was written by two different authors. I think the fact that is is dual narrative means that you get to know the characters a little deeper and you feel more sympathy/empathy with them sooner into the book as well. I learned a lot about the Camino in this book and it has definitely piqued my interest in the areas. The great thing about the setting is that it is new to both of these characters as well since we have someone from Yorkshire (like me, woo!) and someone from California. As the blurb suggests, there are lots of challenges along the way and i think because, we the reader, are seeing this through fresh eyes, we feel those challenges more deeply as well. The characters are both at a slightly later stage in life to me but I still found them easy to identify with and championed them throughout the walk. I could relate to what they were going through not because I've been through it but because they are well-developed likable characters who were easy to get along with. You don't have to have read anything by these authors before to enjoy this story, nor do you have to have an knowledge of The Camino.This book was unique, enjoyable and challenging in parts and I can't wait to see what becomes of it in the future!